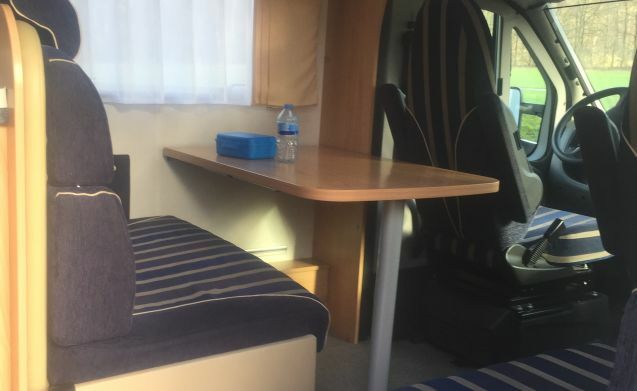 Hereby we offer our fully equipped camper for an unforgettable holiday. You only need to bring your comforter, clothing and toilet bag! 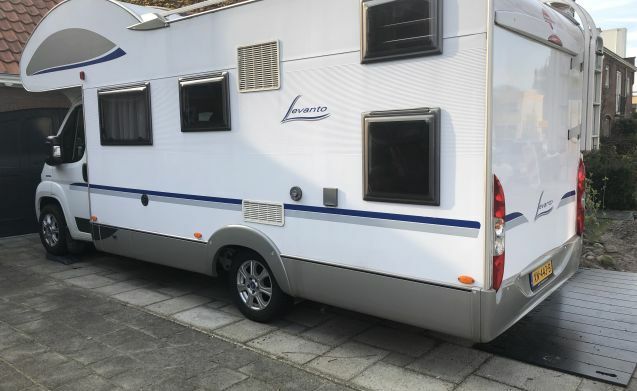 Brand: Burstner Levanto 595 chassis Fiat Ducato multijet 3.0 160 hp year 2007. 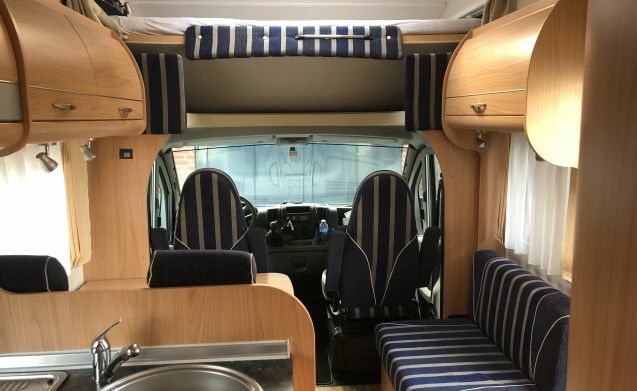 This smoke-free, wonderfully spacious alcove camper is the perfect travel companion for a family with children. The entrance has a fixed low entry. So no stools or moving steps. A wardrobe with hanging area. 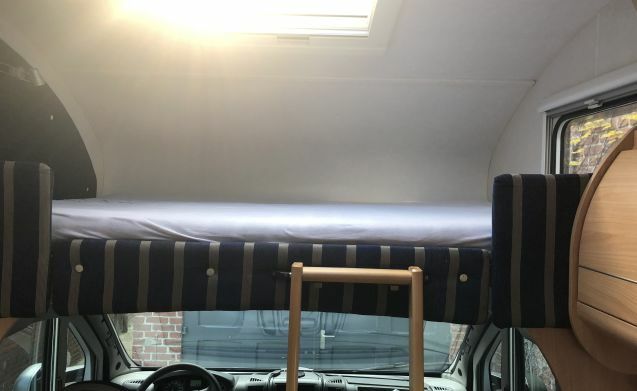 While driving, the alcove can partly rise so that more space is created underneath. The alcove is also a perfect place for all the things that you don't need for a while. 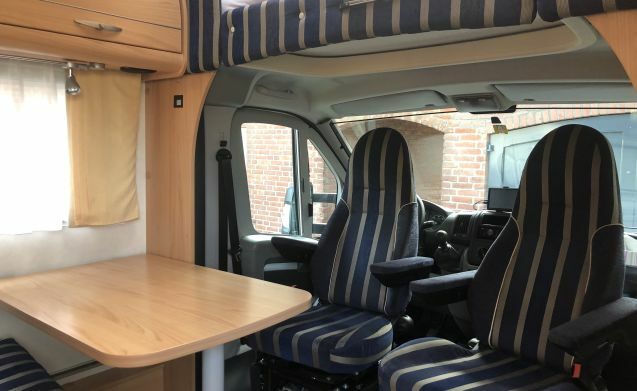 The camper is equipped with 4 belts, 2 in the front and 2 in the seating area. The front seats are rotatable so that you can sit around the table with four people (table extendable). 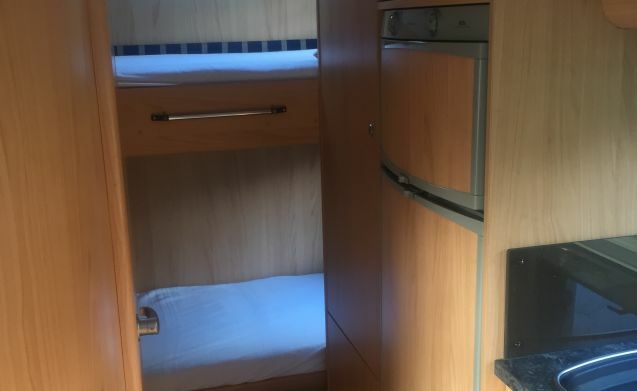 At the rear of the motorhome is the bunk bed 95x220cm, one of which is foldable for more storage space (see photo). 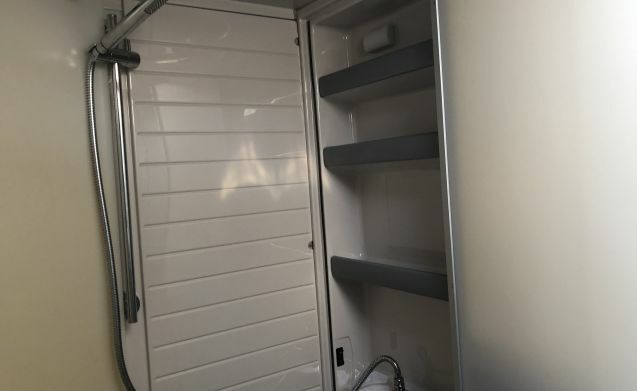 The bathroom has a toilet, sink, mirrors, a separate shower room and lots of storage space. The fridge is very spacious and above that there is a separate large freezer. 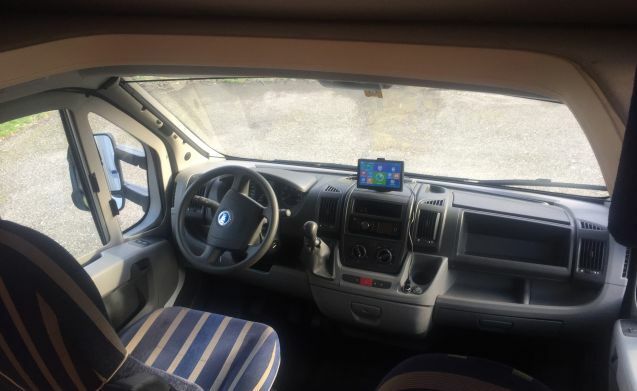 The refrigerator switches fully automatically: to 220V as soon as the camper is connected to electricity, to the battery while driving or to gas as soon as you park somewhere on the road. The modern central air heating and the hot water boiler can be activated simply by means of a thermostat button (Trumatic C). 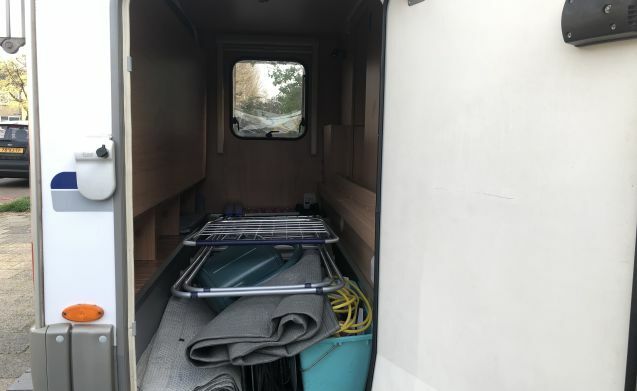 Finally: 1 luxury roof window in alcove - awning - CO2 detector - fire detector - boiler - clean water tank 100 liters - 1 waste water tank - 2 large gas bottles - all (roof) windows with combi rollers mosquito net / darkening. 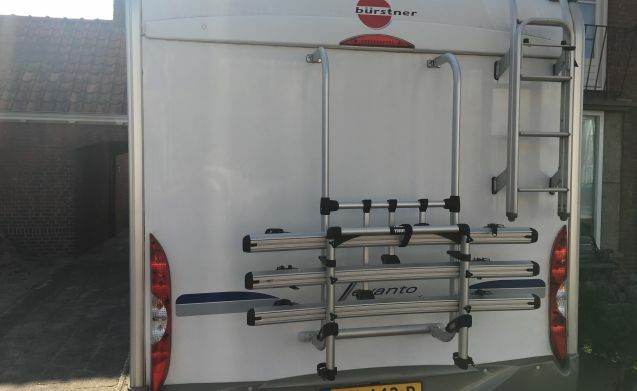 Thule bicycle carrier for 3 bicycles. Mass of the unladen vehicle: 3145 kg - maximum permitted: 3500 kg. With the very smooth, powerful (160 HP) and still silent 3.0 Fiat ducato multijet diesel engine you can drive uphill without any problems. 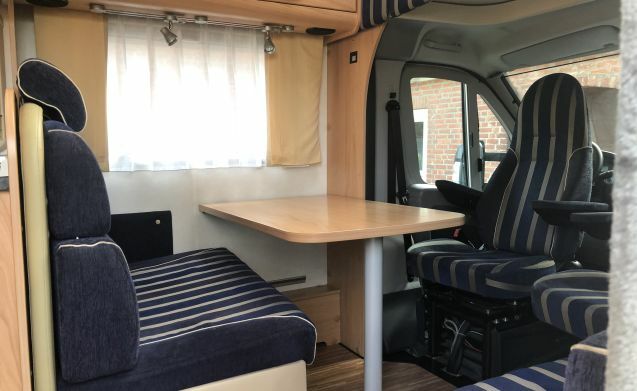 The camper is well maintained and has recently had a major turn. 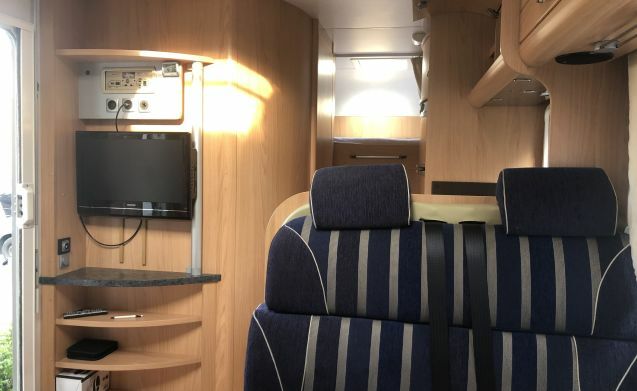 The motorhome is perfectly insured through the NKC with 24-hour roadside assistance at home and abroad. Abroad you are even entitled to a replacement motor vehicle or transport to the final destination / home destination. The renter must be at least 28 years old and have a driving license for 5 years. Minimum rental period in low season 1 week and in high season 2 weeks. 2000 km per week off, then 20 cents per km. Smoking is NOT allowed in the camper. Fitted sheets for mattresses available. Duvets and pillows not available. Return the camper with a full fuel tank (Full-Full). 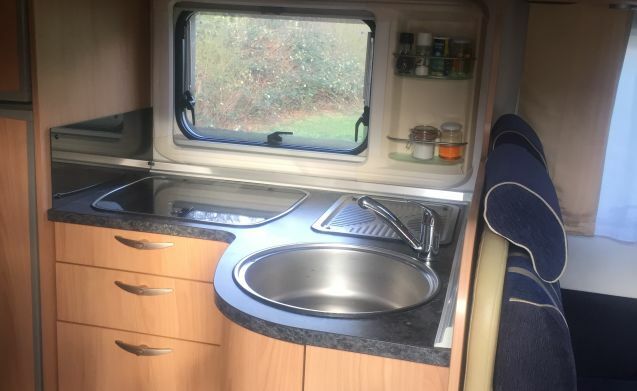 Hand in a camper clean, so also an empty waste water tank and an empty / clean toilet cassette, no cleaning costs if everything is in order. I clean the outside of the camper myself. Any fines incurred during the rental period are charged to the tenant.